You’re all set to visit Lodi Wine country – you have a place to stay and a list of wineries you’d like to visit. You’re excited to experience all that Lodi has to offer, yet you may feel a bit uneasy because you’re not sure about “how” to taste wine. Of course, you could just drink and enjoy the wine without giving it much thought. But why not elevate your experience by engaging more of our senses? Looking back on my own wine journey, I wish I had started it in Lodi. With a laid-back vibe, tasting rooms in Lodi are friendly, helpful and patient with wine novices. Don’t build this experience up in your head that wine is not something for everyone to experience. 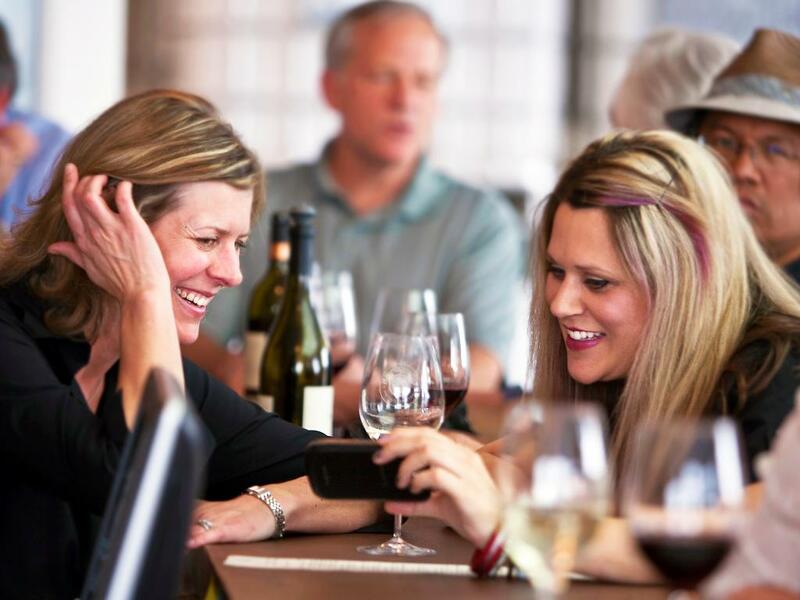 Tasting in Lodi is going to be a fun, and for you beginners, an educational experience! If you invest a minute or two to indulge more of your senses, you’re more likely to remember what you’re drinking, whether you like it, and why. The key to wine tasting like a pro is to remember these four essential “S’s” of wine tasting - Swirl, Sniff, Sip, and Savor! Swirl the wine before you sniff it to release its aromas. The best way to do this is to rest your glass on a table and hold it by the stem, rapidly move it as if you were drawing small circles. But hey, it’s not that serious! Any way that’s comfortable for you, works. When you smell the wine, stick your nose into the glass and close your eyes and take several short, gentle, and quick sniffs. As you smell the wine, think about what scents you’re picking up, and keep in mind that there are no wrong answers! Take a sip or two of the wine and swirl it around your mouth before swallowing, spitting out or dumping the wine. This is your opportunity to sum up a wine. Did its taste remind you of any fruit you’ve had? How did it feel in your mouth? And most importantly, did you enjoy the wine? Conversely, if you didn’t like it, what didn’t you like? Make a mental note for future reference. Ready to take your learning to the next level, we caught up with Jeremy Trettevik, President and Winemaker of Jeremy Wine Co., who helps you walk through the basics! Here is more information about how to get the most out of your visit to Lodi Wine country!